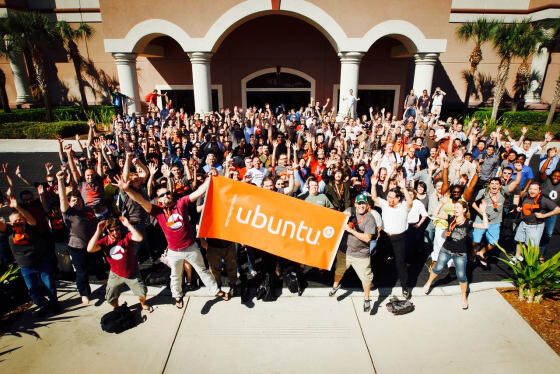 Without the community, Ubuntu would not exist. Ubuntu software is free and accessible to all and without the rich contributions, it wouldn’t be the service and brand it is today. The community is welcoming to people of all background and skills, it thrives to keep the Ubuntu project growing and is committed to open source and making it available to all. Over time it’s been incredible to see local communities form all over the world, bringing the interactions from online to in-person, learning from one another, building upon the platform and deepening those friendships. These are makers that share a mission of bringing access to computing and open collaboration everywhere whilst passionately creating new projects no matter how large or small. The areas to get involved in Ubuntu have become even more diverse than ever. Now you can test and create apps for Phone, Desktop and IoT projects – yes Drones and Robots (! ), participate in local events such as UbuCon or Ubuntu Loco Meetups where discussions are held around shaping Ubuntu’s future, and even port Ubuntu to your favourite phone and transform it into a PC! We consider all of you to be innovators in your own right, always looking to test the latest technologies with the smartest tools. Just pick your next area of exploration! We’ve had a spell of recent launches that include partnering with Intel to offer an x86-based IoT developer board, our first tablet with the BQ M10 Ubuntu Edition, our fourth Ubuntu Phone with partners Meizu, Ubuntu Core on the Samsung Artik for IoT app development, the porting of Ubuntu on Xperia Z1 and OnePlus One and…and we’re only growing! Be part of the community here.